This fine handgun features a 5.5" barrel with a blue finish and is fitted with attractive one-piece cocobolo grips. The action features a frame mounted inertia firing pin and transfer bar for added protection. 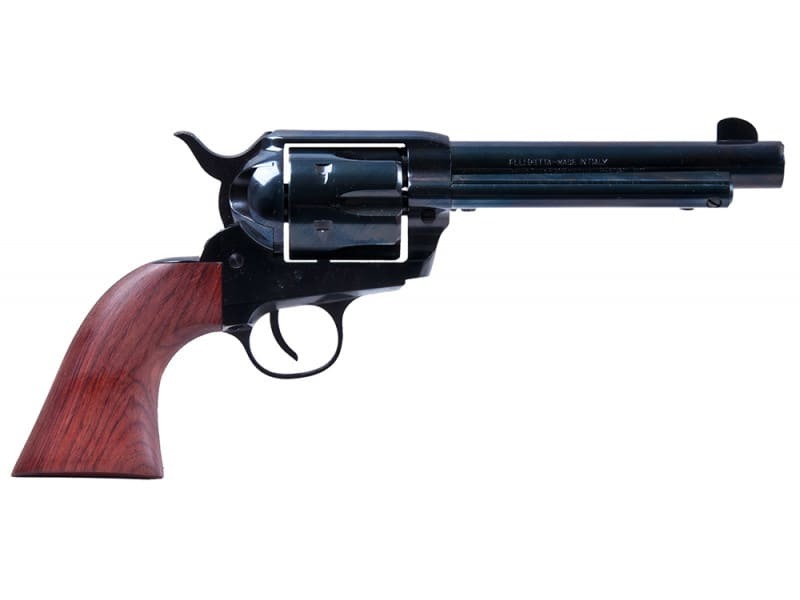 It is ideal for the exciting sport of Western Action Shooting, the Big Bore Rough Rider embodies the flavor of the Old West but will also serve anyone who wants an accurate and reliable sidearm for other outdoor activities.